We are pleased to announce that one of our members, Emily Small, has recently been promoted to Director of Performance and Operations within the Customer Energy Solutions Department at the New York Power Authority (NYPA). Small, who previously worked for the City of New York as an Acting Deputy Commissioner before coming to NYPA in October of 2014, has had extensive and long-standing experience in public energy management. She assumed the Manager of Program Performance and Operations position within the Customer Energy Solutions department upon coming to NYPA. 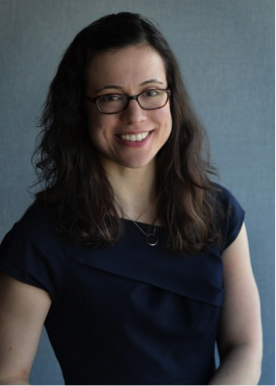 In her new role, Emily will lead the team responsible for the development of reporting and analytics to track the performance of NYPA’s energy services programs including BuildSmartNY, K-Solar, the 5 Cities program, and NYPA’s Customer Solutions Strategic Initiative. She will also direct the teams responsible for improving business processes and compliance, and the customer business IT systems. We warmly congratulate Emily on her promotion and are excited to watch her transition into this new role. Are you interested in submitting someone you know to be profiled for WICE on the Move? Please contact info@wiceny.com.